Happy Monday and welcome to a new Merry Monday Christmas Card Challenge! Katie has a invited us to create a card with sparkle, shimmer or shine!! I chose this Merry Bright die and cut it on shimmering gold metallic paper. I embedded embossed the red glitter ornaments and topped them with the gold bow die cuts. The possibilities are endless for this challenge and I'm so looking forward to what YOU create! Need a little inspiration? 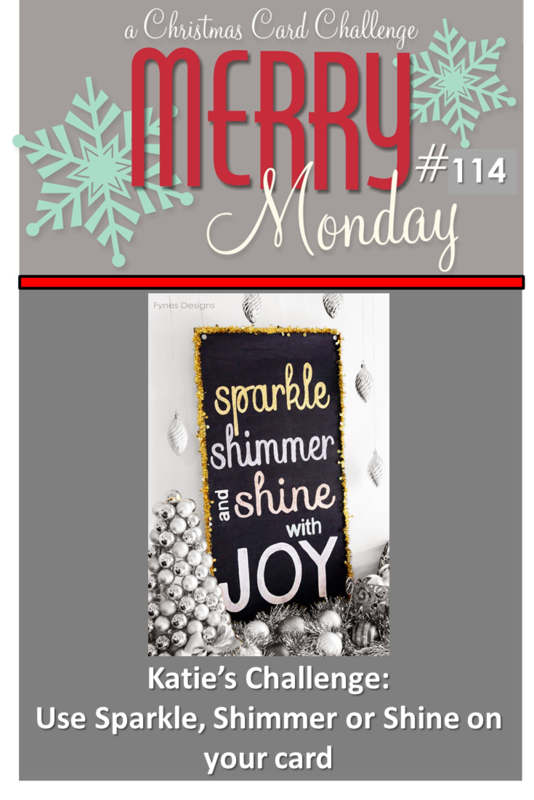 Just pop on over to the Merry Monday challenge blog and see what the design team has in store! Wow Kathy, this is just sparkly shimmery gorgeousness! :) Love that sentiment, it's so shiny and bold! Love your gold sentiment - such a stunning card!!!!!!!!! I love that die you've used for your sentiment! Just perfect for this challenge. And the little ornaments look so cute! I love these sparkly red ornaments with the pretty bows! And that big bright sentiment is AWESOME! Have a great week, Kathy! LOVE the Marquee letters, lovely statement this is BLING Sparkle "BAM" shine!!! Love it, such a great "POW" of a card!!!! 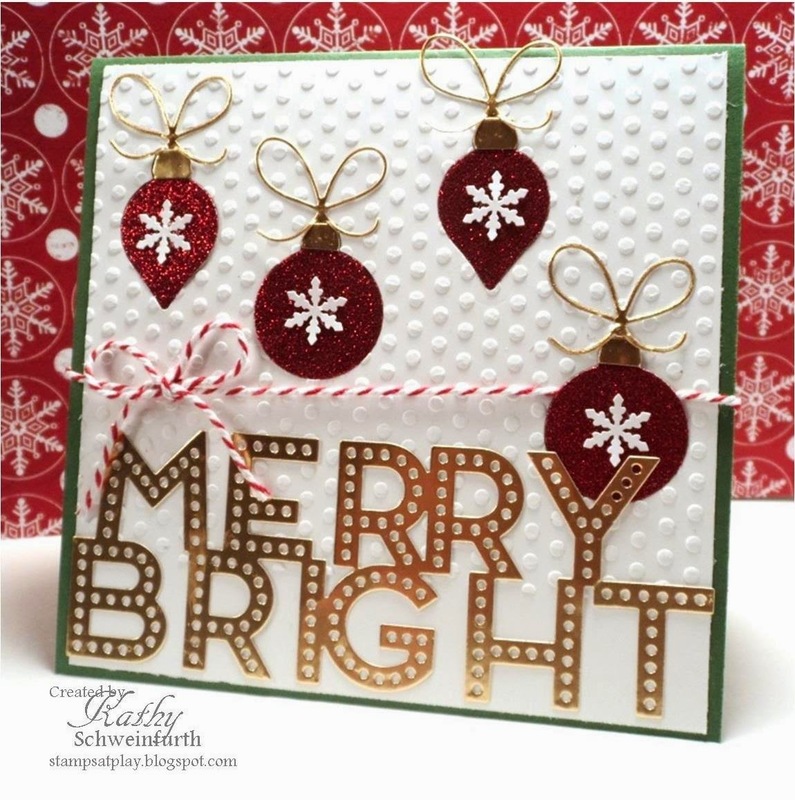 Very sparkly and bright card, Kathy! I LOVE the letters! WOW!! Have a great week. This is a beautiful card... I love the big letters! Your card is so shiny, merry and bright! So pretty. Love the sparkly red ornaments. Fabulous fun card, I love the big bold letters and the pretty ornaments. Beautiful card Kathy, I love how you used the ornaments and letters.